Home > Hotel news > Hotel manager or hotel engineer? 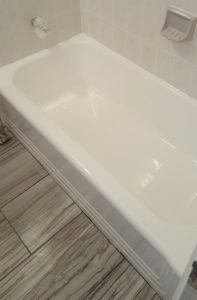 Before you spend any money or time first find out everything you need to now about remodeling, upgrading and repairing hotel or commercial bathroom facilities while saving money and time. All you need is our guide to Renovating Hotel Bathrooms written specifically for the hotel manager and hotel engineer is a short straight-to-the point but highly specific information tool to help you avoid the mistakes, decide and plan for one of the most important projects on your hotel. If improving reviews and customer satisfaction is your goal then great looking bathrooms are a must in today hotel and corporate facility. Save the frustration and hassles of major renovation, download your copy of Renovating Hotel Bathrooms here.